The research within the profile area Optoelectronics and Photonics is focussed on the physics and applications of optical technologies. It is driven by innovative concepts from quantum optics, coherent optics, ultrafast nanooptics and optoelectronics. The goal of the coordinated research is to establish novel information technologies based on nonlinear light-matter interactions and quantum effects. Within the experimental research new materials are developed and functional nanostructures as well as photonic quantum devices are produced and evaluated. The theoretical work covers the full range from atomistic material description and quantum optics to protocols for quantum information processing. The area of applications is dominated by research in the field of automotive lighting. Together with the L-Lab, the industrial development of prototypes and technology demonstrators is performed. The interdisciplinary cooperation in the profile area "Optoelectronics and Photonics" is supported by the collaborative research center/Transregio TRR 142. Among the participating scientists are Leibniz Prize and ERC Grant winners. Understanding nonlinear optical properties of two-dimensional semiconductors and their heterostructures is essential for a successful design and fabrication of high-performance nanophotonic devices. In particular, for all-optical photonic elements, nonlinear properties need to be precisely controlled and combined with sophisticated functionalities. Such functionalities can be provided be nano-patterned materials, also known as metasurfaces or metamaterials. The local electromagnetic fields induced by metamaterials can be few-orders higher than the mean value of the external illumination field. The project funded by the ERC through the Consolidator Grant “NONLINMAT” focusses its research on the combination of the significantly enhanced electromagnetic fields from nano-patterned metamaterials with semiconductor quantum wells in Gallium Nitride and atomically thin transition metal dichalcogenides like monolayers of Tungsten- or Hafnium-Disulfide (also called 2D materials). Besides, distinct from the conventional bulk and quasi-2D semiconducting materials, quantum confinement and reduced dielectric screening in 2D semiconductors remarkably enhance quasiparticle interactions and result in large binding energies of excitons, where many-body effects need to be considered. In such a system of 2D semiconductors, investigations of many-body physics become a very exciting research field for exploring the fundamentals of quantum mechanics. In particular, high-order unconventional excitonic quasiparticles can exist such as trions and biexcitons, and the enhanced electromagnetic fields of laser excitation may help for observations of these high-order quasiparticles and reveal the underlying many-body effects. On the other hand, nonlinear optical properties of nano-patterned metamaterials can be modulated by atomically thin 2D materials. The possible localized surface resonances of nanostructures occur at the metal-2D semiconductor interfaces. Moreover, by adjusting the frequency bands of nanostructures overlapping with the emission bands of the 2D material, the resonant coupling of emission bands may result in new physics, such as valley-polarized surface plasmons. The project studies the influence of selective coupling mechanisms based on symmetry aspects of the nanostructures and the lattice symmetry of the 2D materials. The focus is hereby on the enhancement of nonlinear optical effects and the control of properties purely with light. The findings will lead to a deeper understanding of coupling mechanisms between artificially engineered nanostructures and natural material systems. The improved light-matter-interaction, on the other hand, can result in smaller and more efficient all-optical devices for future applications in quantum information processing. This project has received funding from the European Research Council (ERC) under the European Union’s Horizon 2020 research and innovation programme (grant agreement No. 724306). 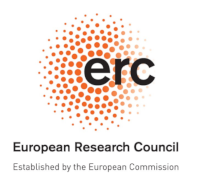 One of the most prestigious grants for international top-level research is the “ERC Consolidator grant”, with which the European Research Council awards excellent young scientists who already pioneered their field with visionary projects. In 2016 the physicist Christine Silberhorn was awarded by the ERC for her project “QuPoPCoRN-Quantum Particles on Programmable Complex Reconfigurable Networks”, which started in July 2017. Since then Prof. Silberhorn and co-workers investigate the complex interactions and dynamics of multiple quantum particles within large networks, an extremely challenging task. But doing so reveals the underlying structure of an enormously diverse range of phenomena. Therefore, a reliable platform to investigate complex quantum network dynamics, which incorporates the rich interplay between noise, coherence and nonclassical correlations, will be an extremely powerful tool. The scientists develop time-multiplexed optical networks, in combination with tailored multi-photon states as a new platform for large-scale quantum networks. This approach allows them to emulate multi-particle dynamics on complex structures, specifically the role of bosonic interference, correlations and entanglement. To achieve the required large networks sizes, novel decoherence mitigation strategies must be developed: programmable noise, topologically protected quantum states and perpetual entanglement distillation. 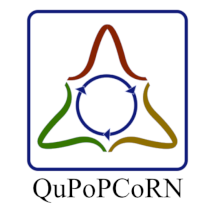 The objectives in QuPoPCoRN target the overall goal to understand the role of multi-particle quantum physics in complex, large-scale structures harnessing time-multiplexed photonic networks. This project has received funding from the European Research Council (ERC) under the European Union’s Horizon 2020 research and innovation programme (grant agreement No. 725366 ). The project "UNIQORN" (Affordable Quantum Communication for Everyone) started at the end of 2018 within the framework of the European research initiative "Quantum Flagship". The goal of the three-year project is to use photonic technologies in quantum communication. The optical systems, which currently require structures of the order of meters, will in future be accommodated on millimeter-sized chips. In addition to reducing the size and thus the cost, such systems are robust and can be reproduced better. "UNIQORN" is a collaborative project with partners from industry and universities. 17 groups from various European countries work together under the coordination of the "Austrian Institute of Technology". In Paderborn special nonlinear integrated optical devices (e.g. photon-pair sources) will be developed, which contribute significantly to the desired miniaturization. These devices are then implemented by other project partners into hybrid functional units and then used to demonstrate the functionality for selected quantum applications in real-world communication networks. The UNIQORN project receives funding from the European Union's Horizon 2020 research and innovation programme under grant agreement No. 820474. Within the Quantum Flagship, one of the largest and most ambitious research initiatives of the European Union, the project „Sub-Poissonian Photon Gun by Coherent Diffusive Photonics“, in short PhoG, is one of only 20 funded proposals in the first phase. Phog consists of five partners from UK, Germany, Belarus and Switzerland, among them the “Integrated quantum optics group” of Prof. Silberhorn in Paderborn. Under the leadership of Natalia Korolkova from the University of St. Andrew the consortium will develop deterministic and compact sources for non-classical photonic states, the so-called Photon-Guns. To this aim they will engineer the losses and couplings in integrated waveguide arrays. These innovative devices will then be applied in metrology and other quantum technology tasks, e.g. to enhance the frequency stabilization of atomic clocks. The contribution of the partner in Paderborn will focus on the characterization of the non-classical states of light. 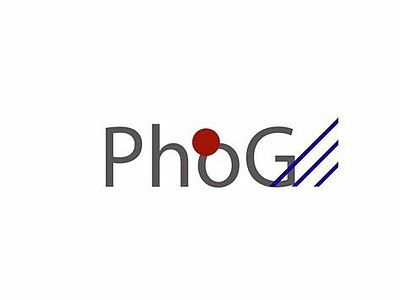 The PhoG project receives funding from the European Union's Horizon 2020 research and innovation programme under grant agreement No. 820365. The aim of this project is the integration and application of high-efficiency superconducting detectors on nonlinear lithium niobate waveguides. This will enable to development of new tools in quantum optical communication technology. The main challenge is to maintain the advantages of the high nonlinearity of lithium niobate at the cryogenic temperatures required to operate the superconducting detectors, as well as ensure that the processing steps for each technology are mutually compatible. We have already made the first steps towards these goals in isolation; the new and exciting aspect of this project is to combine these functionalities on a single device, in order to realise the full potential of this technology. To do so, we combine the weald-leading lithium niobate waveguide fabrication at Paderborn University with the superconducting detector technology from the National Institute for Standards and Technology (NIST) in Boulder, Colorado. We plan to build five tailor-made modules to demonstrate the versatility of the the integrated superconducting optoelectronic platform. This comprises optimising the material properties of lithium niobioate waveguides with the thin-film superconductors required for the detectors. Each of these components will be designed such that it may be included as part of a wider quantum communication system, which can interconnect with other devices based on other platforms, for example single photon sources from single emitters. This modular approach, whereby the optimisation can be carried out on a component-by-component basis, is essential for the proliferation of quantum technology. The long-term vision is that this approach adds significant value and enables a broad functionality for quantum communication technology. In the course of the digitalization of our society, data security and secure communication are becoming increasingly important. Quantum communication offers a promising approach for a fundamental solution to the security issues at hand: It uses quantum states as information carriers that cannot be cloned or read unnoticed due to fundamental physical laws. The Federal Ministry of Education and Research (BMBF) is funding the research and demonstration of such a quantum technology with a total of 14.8 million euros from 2018 to 2021 through the establishment of the joint project "Quantum Link Extension" (Q.Link.X). Within the framework of the project, quantum repeaters will be implemented for secure key transmission over greater distances. In the Q.Link.X network, 24 partners from research and industry have networked to advance the key technology of quantum repeaters. Ideal one-dimensional electronic systems have peculiar properties, such as quantization of conductance, charge-density waves, and Luttinger liquid behavior, a variety of instabilities with a wealth of associated phase transitions. These are due to their reduced dimensionality and the concomitant high electronic correlations. The exploration and identification of physical scenarios with one-dimensional properties under explicit consideration of 2D and 3D coupling is the central topic of the delocalized Research Unit FOR1700, where the Schmidt group collaborates with researchers from Würzburg, Duisburg, Berlin, Rome, Hannover, Gießen, Chemnitz, Düsseldorf, and Osnabrück. Fast digital-to-analog converters (DAC) are indispensable components for modern signal processing systems. Bandwidth and effective number of bits (ENOB) are important metrics for the performance of DACs. At the same time, those parameters constitute a trade-off in the design of a DAC: The more broadband the DAC, the less typically the ENOB. This is due to clock signal jitter limitations as well as linearity limitations of utilized transistors . These fundamental, physical limitations motivate the search for new DAC concepts. To our opinion the most promising approach is presented by electronic-photonic DAC concepts and its integration by means of silicon photonics. The goal of PONyDAC project is the investigation of electronic-photonic DACs based on optical time-interleaving and broadband optical pulse synthesis which can be implemented in modern silicon photonics technology through monolithic co-integration of photonic and electronic components on the same substrate. This novel approach has the potential to multiply today`s DAC bandwidths. The functional principle is shown in figure 1. A Mach-Zehnder modulator (MZM) is fed optically by a continuous wave laser (CW) and driven electronically by a low noise radio frequency generator (RFG). By tuning both the amplitude and frequency of the drive signal as well as the MZM`s bias voltage one can generate precise, periodic Nyquist pulses with adjustable repetition rate and FWHM. In a following optical power splitter the Nyquist pulse train will be distributed into N arms and delayed in phase in respect to each other. MZMs located in those arms are driven by electronic DACs and modulate the light signals in the respective arms according to the digital input [ ]. The optical pulses are then combined by an interferometric structure with matching phase relation. 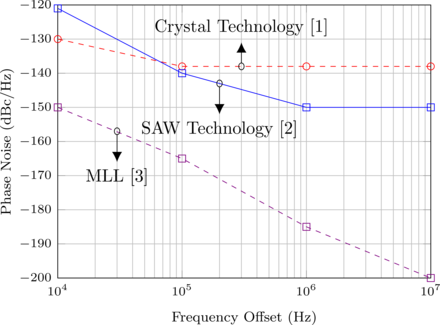 The concept of optical time-interleaving allows for a very high output signal bandwidth, which is a multiple of the bandwidth of state-of-the-art DACs. In the project an electronic-photonic DAC will be realized in modern silicon photonic technology, which targets for a DAC bandwidth of more than 100 GHz. The PONyDAC project is funded by the Deutsche Forschungsgemeinschaft in context of the priority program „Electronic Photonic Integrated System for Ultrafast Signal Processing (SPP2111) “. Our project partner is the Institut für Hochfrequenztechnik TU Braunschweig under the direction of Prof. Dr. Thomas Schneider. M. A. Soto et al., “Optical sinc-shaped Nyquist pulses of exceptional quality,” Nat. Commun., vol. 4, no. May, pp. 1–11, 2013. 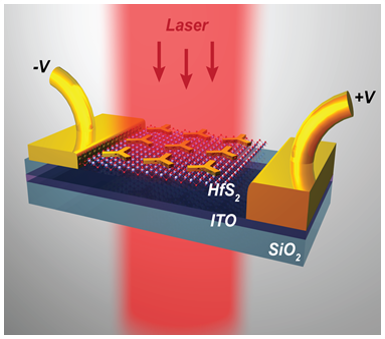 L. Zimmermann et al., “BiCMOS Silicon Photonics Platform,” Opt. Fiber Communication Conference (OFC), San Diego, p. Th4E.5, 2015. Goal of the first funding period of the project is a library of devices and analogue as well as digital basic circuit blocks for sensor and communication applications based on devices from amorphous metaloxide semiconductors on flexible substrates. The hardware implementation will be done using field effect transistors with amorphous n-type semiconductors deposited at or close to room temperature, initially based on zinc-tin oxide but higher mobility materials will be explored. For the gate structure MISFET, MESFET and JFET (based on amorphous p-type oxide semiconductors) will be compared and the most suitable technology for circuits on flexible substrates (criteria: dc and ac performance, performance under mechanical and electrical stress and ease and reproducibility of fabrication) will be chosen and pursued in more detail. The entire fabrication process will be limited to temperatures below 100 °C. The deposition process for the amorphous semiconductor materials currently performed using room temperature PLD will be transferred to and optimized for sputter deposition since this method is established in industry and allows up-scaling as application perspective. Based on fabrication and characterization of passive and active devices, model libraries shall be developed, which constitute the base for circuit level simulations of basic analogue and digital circuit blocks. The frequency target for our first demonstrators is 6.8 MHz; in the course of the project we will target the ISM band at 13.5 MHz for sensor and communication applications on flexible substrates e.g. close to the human body. Consequently, the collaboration with a third group having a reseach focus in communication engineering, sensorics, or medical electronics is envisaged in the perspective for the second funding period. Therefore, results including model, device, and circuit libraries shall be published, but in particular offered for collaborative use in the frame of the Priority Programme FFlexCom. Learn more about the participating scientists . From fundamental concepts to functional structures"